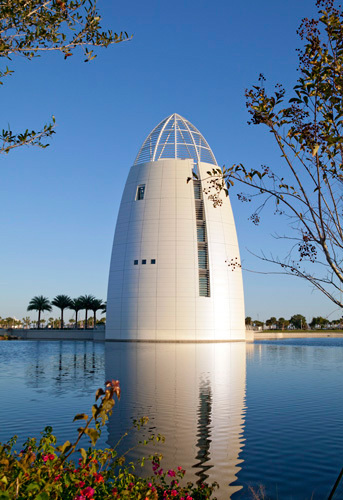 Situated in scenic Port Canaveral, the iconic Exploration Tower is a breathtaking landmark that’s both entertaining and educational to experience. 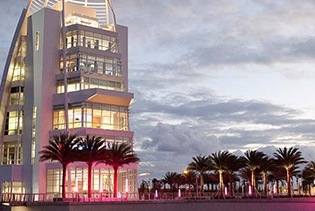 Featuring seven floors of interactive activities, the tower offers indoor and outdoor observation decks, 5,550 square feet of exhibit space, an auditorium, a gift store and more, guests can create unforgettable memories at this special attraction. Marvel at birds-eye-views of Port Canaveral. 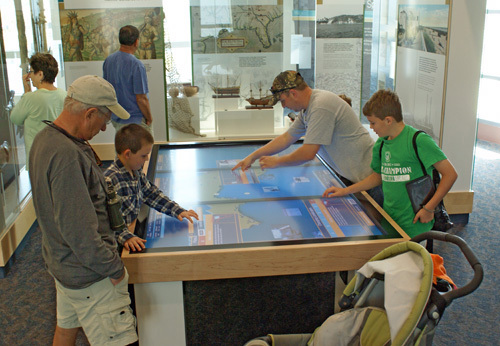 Discover all 7 floors of interactive exhibits. Experience the Port Canaveral pilot experience. Located only 45 minutes east of Orlando. 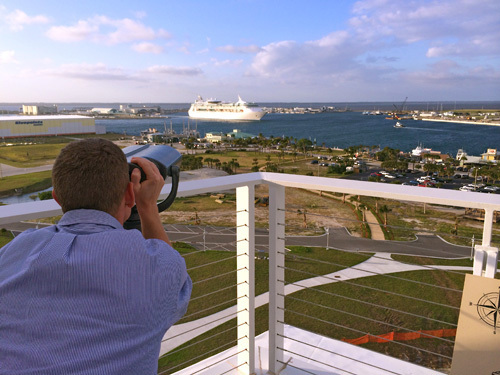 Get a spectacular bird's eye view of Port Canaveral and the surrounding area from our tower observation decks at the Exploration Tower. Discover more about this unique part of Florida from seven stories of exhibits and interactive play. 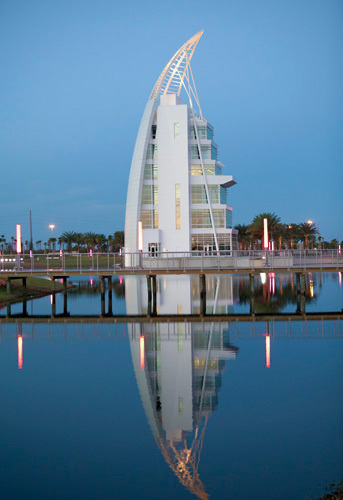 The new Exploration Tower at Port Canaveral officially opened November 4, 2013 as part of the Canaveral Port Authority's celebration of the 60th Anniversary. 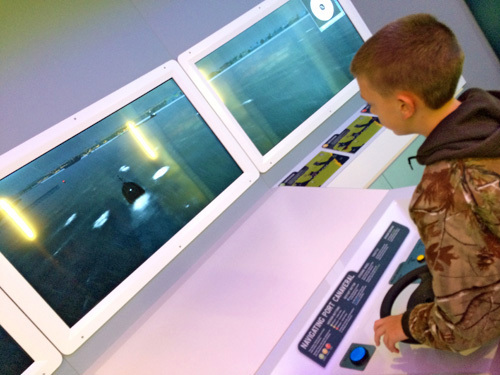 Experience what it's like to be a Port Canaveral Pilot and navigate your boat using a simulator through Canaveral Harbor to greet cruise ships. Explore Central Florida's past and present with the touch of a finger using our large-scale interactive map. Learn about the Port's vibrant history and the key events that helped transform it into the flourishing harbor we know today in our state-of-the-art theater. Where is Exploration Tower located? 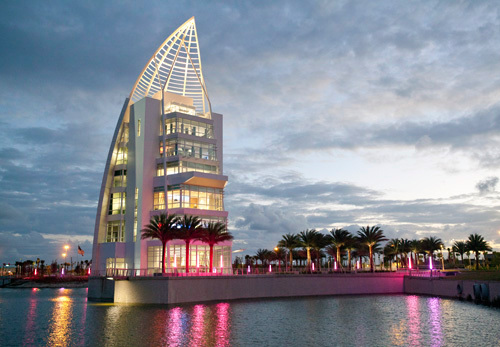 We are located in Port Canaveral, just 45 minutes east of Orlando. Free parking can be found in the adjacent lot to the Exploration Tower building. Yes, we are committed to making our facility and programs handicap accessible to all visitors with disabilities. This is an exciting experience with 7 stories of fun and adventure with interactive exhibits and activities everyone can enjoy. What is located on each floor? 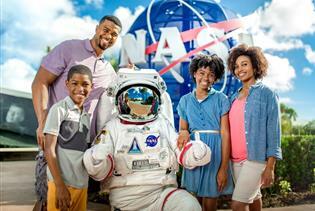 Can we watch a Kennedy Space Center rocket launch from the 7th floor? Yes, as long as the launch is during our open operating hours.